Our March 2017 event focused on the future of high street retail. 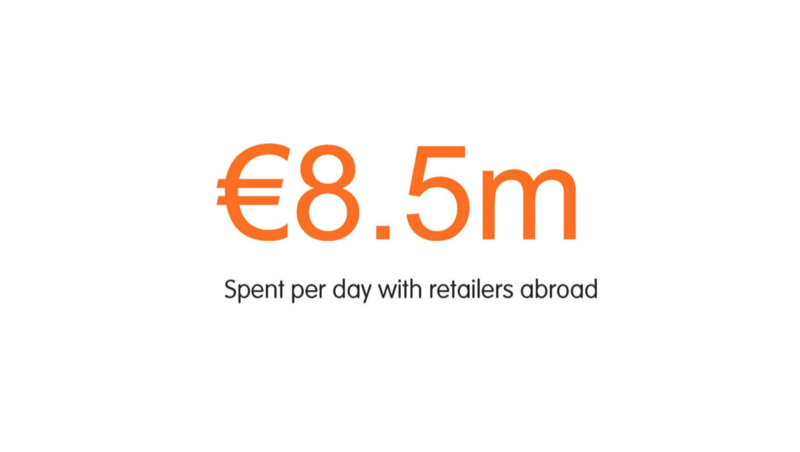 With poor Christmas sales a growing concern for Irish retailers and Irish consumers now spending over €150m between Black Friday and Cyber Monday, we discussed what proactive approaches high street retailers could adopt to develop their businesses and grow their customers. 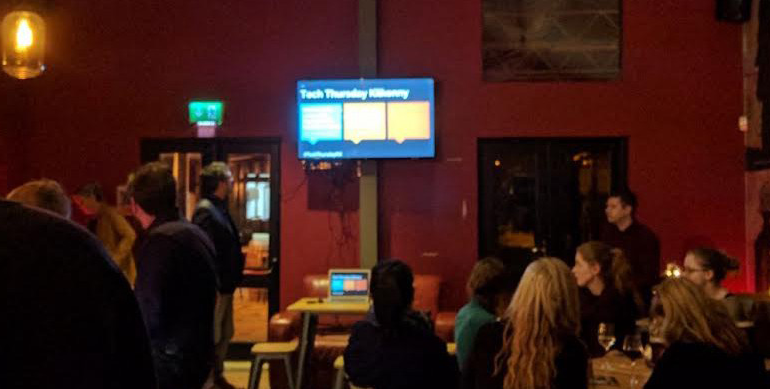 Every business can have a tech element whether it’s visible or not and we explored this and other other elements throughout the evening with presentations from our guest speakers Justin Kearns from Tucr.io and Gillean Guy from eStreet who joined us via livestream from Ludgate Hub in Cork. Little Green Grocer Digital receipts: They wing the receipt for our monthly office coffee supplies digitally, so it’s in my inbox before I’ve left the shop. No more paper and true to their sustainable ethos. Easier for customers’ digital accounting. 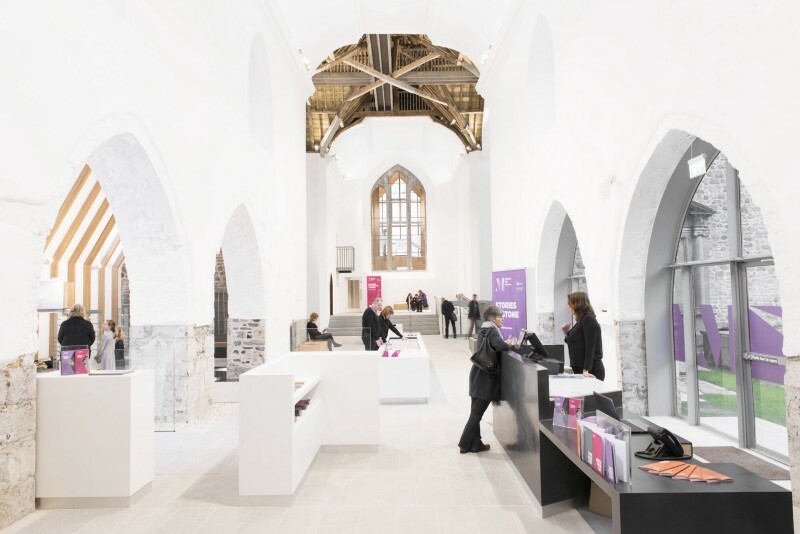 Bank of Ireland & AIB Self-service banking: Removes the exchange with cashiers so no more need for small talk. Speeds up the process and removes friction. Seven 7s White label technology: Local taxi company allows you to order a taxi via their app and chart its progress. Conveniently in your pocket and transparent timings. Retail-tech can allow customers to enjoy the best of both worlds while stepping up customer choice and service to boot. Online v offline doesn’t have to be a messy divorce but can be a happy marriage of mutual respect and promotion where everybody wins. Next up was Justin Kearns, co-founder of Tucr.io; an Irish finance technology platform for online and offline retailers. Justin explained how Tucr can simplify the way shoppers can reserve items/services by taking the old concept of ‘layaway’ (where you layaway an item instore and pay it off in increments until ownership) and digitising it. Now items can be Tuced away instore and paid off in installments digitally. Irish retailers and shoppers are using Tucr and the company have secured investment from Enterprise Ireland and interest from Google through their ‘Adopt a Start Up’ programme. Facebook messenger, promote your products on Facebook and then be available for customer service via messenger, used well this can result in sales. Our final speaker was Gillean Guy who joined us via Cisco Systems from Ludgate Hub in Cork. eStreet is an eCommerce community portal that benefits retailers, local community and customers. Gillean is the eCommerce Initiative Manager at eStreet.ie and outlined how purchases can be made online and shipped direct or customers can use the ‘Click and Collect’ system. The Ludgate Hub is a working example of how communities and regions can use digital for job creation. It’s creating an ecosystem of innovation with ambitions to be a hotspot for technology start-ups and multinationals to locate and prosper at a global level. Webrooming: Be online even if your business isn’t trading online. Over 70% of shoppers do webrooming, where they look up products online but then choose to buy them in a physical store. Be Found Online: Use available tools like Google My Business to be found. Also FaceBook Business/ Facebook and Facebook messenger allows you to grow followers and use facebook adverts, a/b testing cost effects, Messenger for service. So in summary, we can see that customers clearly buy online but they will also buy offline, retailers must add value and convenience to the shopping experience to stop customers buying only online. Retail-tech can make the instore shopping experience as slick and seamless as online but with the right execution high street retailers can also deliver a tangible experience that simply can’t be recreated online. Thanks to Sullivans Tap Room for providing the March venue and here is the slides from the event. We’ve secured the Medieval Mile Museum as the next venue for #TechThursdayKK with thanks to LEO Kilkenny. Join us in Kilkenny’s newest visitor attraction in April where we’ll be putting Tech in Tourism through its paces with a Kilkenny slant. Details to follow shortly. Admission to the event is free but limited ticketing. 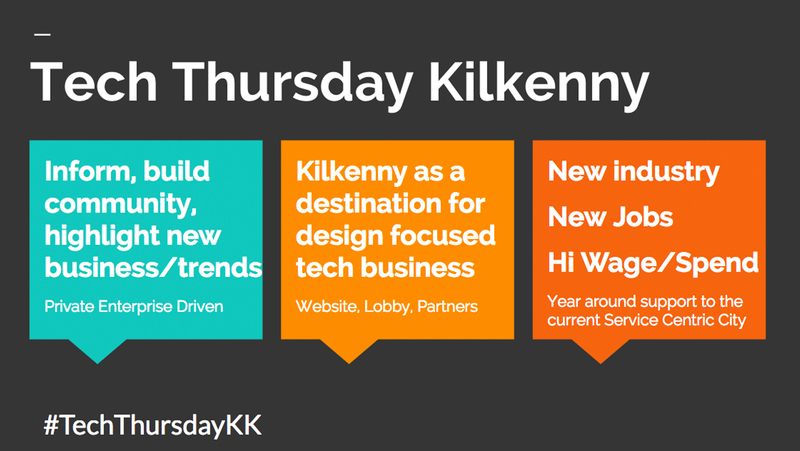 Keep up to date by signing up to the newsletter and follow @redlemonade and #TechThursdayKK on twitter.